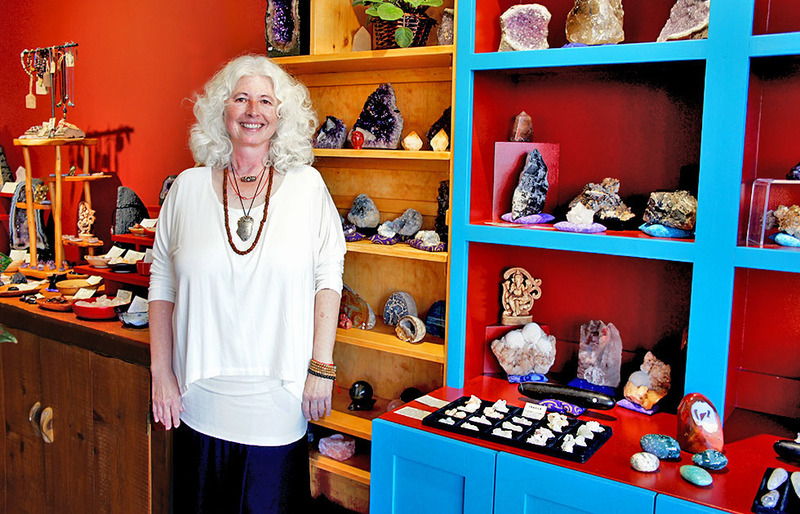 The Mystical Crystal found a storefront and a sense of community in Huntington in October. 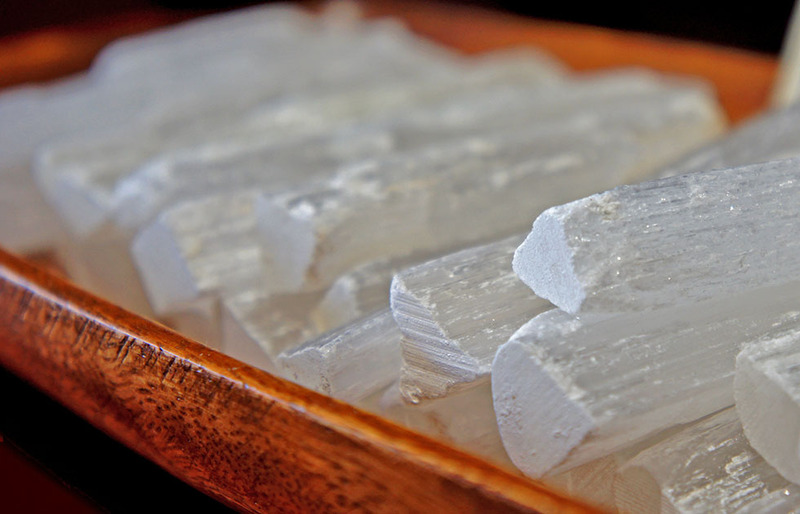 The business, purveying crystals meant to heal the mind and body, was a staple in Oceanside, where it was established in 1999. She’s right. 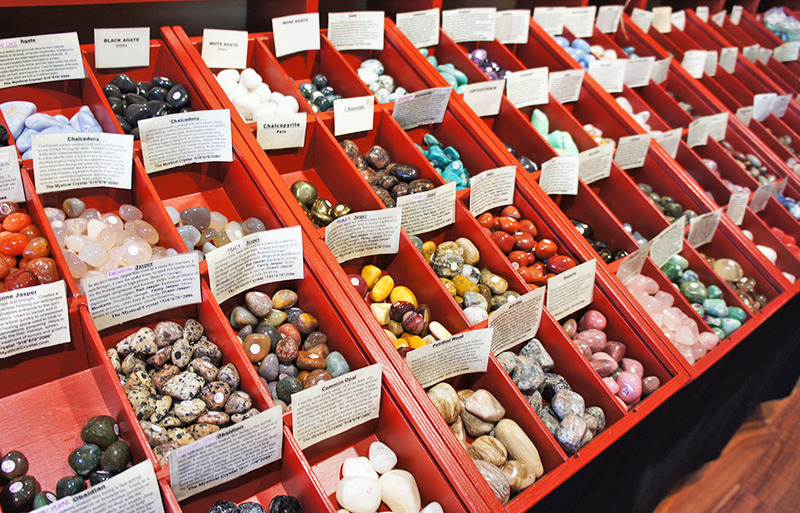 Shelves and cubbies at The Mystical Crystal are filled with rocks of various shapes, sizes and hues. A giant purple amethyst hunk worthy of a natural history museum is displayed next to a petite heart rock that’s perfectly palm-sized. Bowls of small quartz points harmonize with crystal-beaded jewelry. And perhaps the most eye-catching focal point in the shop is the table full of tumbled gems in blues, pinks, grays, reds, yellows, blacks and greens. Titley said they are mainly used for crystal healing and energy work, but can also be components for jewelry making or home decor. Other wares in the shop are tarot cards, books on crystal-related topics, music CDs for meditation, candles and Tibetan items. 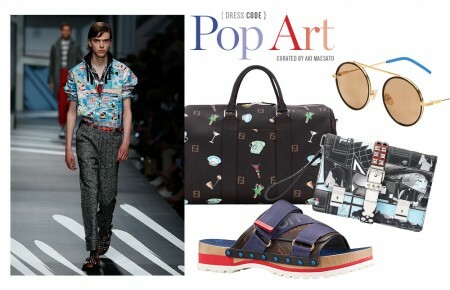 “Selling is in my blood,” Titley said. Her grandmother possessed an entrepreneurial spirit and once owned a shop in Brussels. Titley spent many summers there, helping her grandma sell crystals of a different sort: glass used in pieces like chandeliers and vases. Eventually, Titley’s natural roots and retail experience combined to form a passionate career. She felt that rocks had brought comfort and healing during a difficult time in her life, when her mother became ill with cancer, and “started a journey of understanding that there was a lot more to this.” Titley learned that different crystals had different purposes: Some had a calming effect, others were good for providing protective energy. Fascinated by this new realm, Titley began to assist friends who sold rocks at various shows. “I couldn’t help it!” she exclaimed. Bolstered by her friends’ encouragement, Titley bought her first box of crystals and The Mystical Crystal was born. To obtain these special tools, guests must go off-the-beaten path. The shop’s new location, 12 West Carver St., is just off bustling Main Street. The Mystical Crystal is typically open Thursday through Sunday. There are plans to offer meditation groups, workshops and psychic readings in the coming months. But not all visitors have a concrete reason to pop in—and that’s OK with Titley.